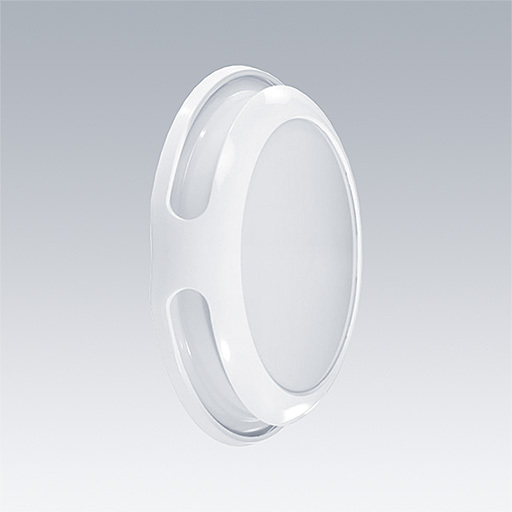 Contemporary round bulkhead luminaire for 2 x 26W TC-DEL lamp(s) with electronic - fixed output circuit. Bezel with white finish. 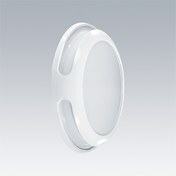 Diffuser in opal polycarbonate. Supplied with Quick Fix fixing and wiring box. Complete with 830 lamp(s).